Secret Nook is a wing of a semi-detached townhouse in the town of Windermere. 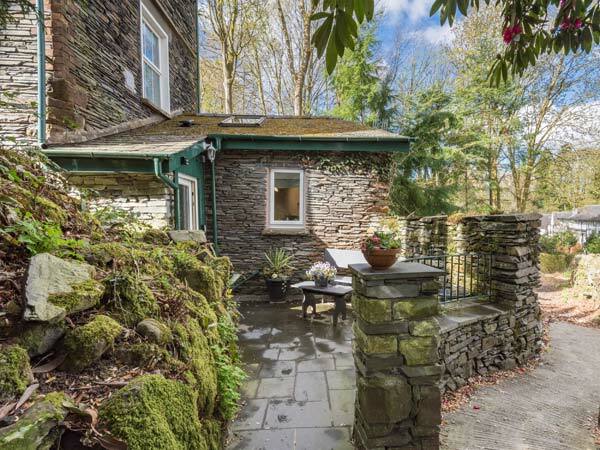 Set all on a lower ground floor level, this cottage sleeps two people in one double bedroom. The cottage also has a bathroom, kitchen and sitting room with dining area. Outside there is off road parking for two cars and a front patio with furniture. 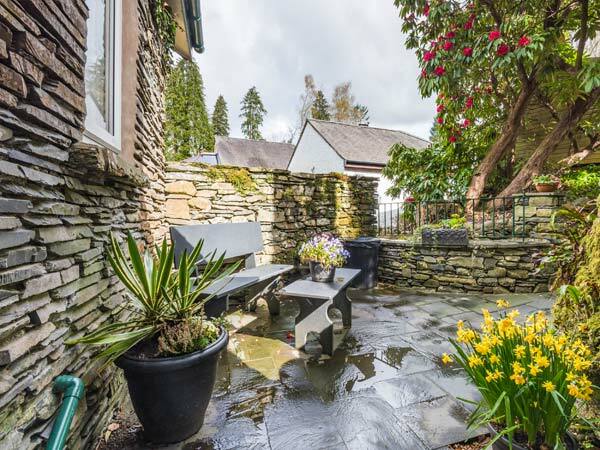 Secret Nook is an ideal romantic retreat for visiting Bowness, Windermere, Ambleside and many wonderful attractions in the area. All lower ground floor. One double bedroom. Bathroom with bath, shower over, basin and WC. Kitchen. Sitting room with dining area. Electric central heating. Electric oven, induction hob, microwave, fridge, washer/dryer, TV with Freeview, DVD, iPod dock, WiFi, selection of books, games and DVDs. Fuel and power inc. in rent. Bed linen and towels inc. in rent. Off road parking for 1 car. Front patio with furniture and BBQ. Sorry, no pets and no smoking. Shop and pub 4 mins walk. Note: Although all lower ground floor, there is a shallow step up from the hallway to the sitting room. Note: Check-in time 4pm. Note: No children, No infants. We also have details of 128 other similar properties nearby which might suit you.